WEB SDK (software development kit) gives you the opportunity to manage and communicate with different devices through HTTP requests and answers. The kit is perfect for creating your own applications as well as for using it with any operating system. The package is offered for all Polimex Holding produced TCP/IP communication devices. Its biggest advantage is the TCP/IP devices work behind the FIREWALL/NAT. 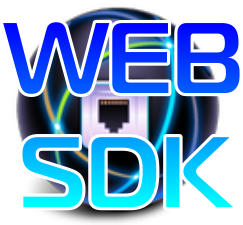 WEB SDK is with free support. The SDK package describes way of communication between the client's computer and the Polimex technique that uses WEB SDk functions (including all network-based products manufactured after August 2013). The SDK kit gives you the chance to communicate with our equipment absolutely free without any functional restrictions.